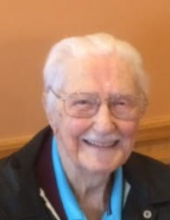 William A. McNamara on September 23, 2018 "affectionately known to his students as "Mack" of Clearwater, Florida, formerly of Oyster Bay. Beloved husband of the late Patricia. Devoted father of Willam John (Mary Lou), Lori (Barry) Ranaldo, Kevin (Kay), Nancy (Eric) Thomas, Kelly (Douglas) Miller. Loving grandfather of Ashley, Jackie, Jaclyn, Kevin Jr., Destinie, Patrick, Andrew, Matthew, and Daniel. Dear Great-Grandfather of 7. Cherished by his many nieces and nephews. To send flowers or a remembrance gift to the family of William Anthony McNamara, please visit our Tribute Store. Chapel of St. Dominic's R.C.C. "Email Address" would like to share the life celebration of William Anthony McNamara. Click on the "link" to go to share a favorite memory or leave a condolence message for the family.